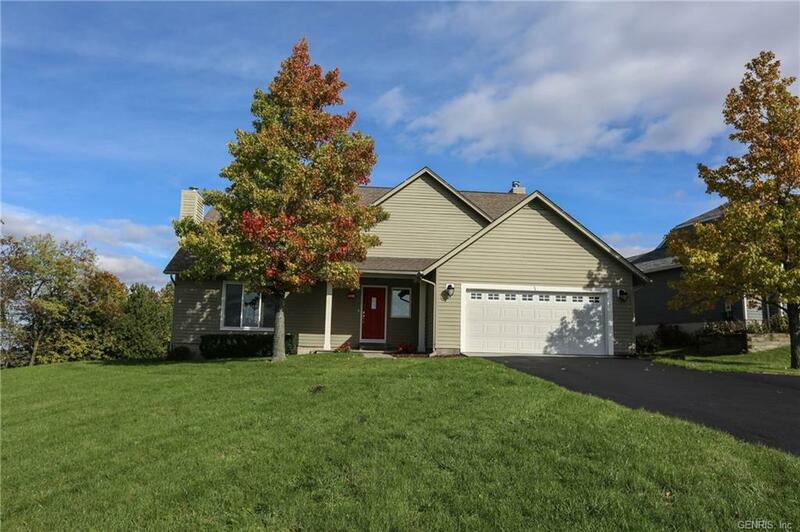 Watch the video of this lovely home with Lakeviews at: http://bayervideotours.com/tour/3705-timberline-dr-canandaigua-ny-14424. Watch the lights twinkle on the water from almost every rear window. 1988 built three bedrooms, 2.5 baths. All new windows 2016. Grand living room with gas fireplace, skylights and open balcony. Formal dining room. Sparkling kitchen with white cabinetry, newer stainless appliances, solid surface counters, eat in area that opens to a large family room with a woodburning fireplace. Huge master suite with walk in closet. Deck. Two car garage. A must see!